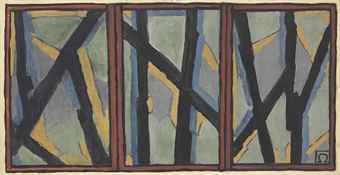 This summer saw another foray onto screen of the Bloomsbury group with BBC2's Life in Squares, a three-part drama following the lives and tumultuous love affairs of the group. 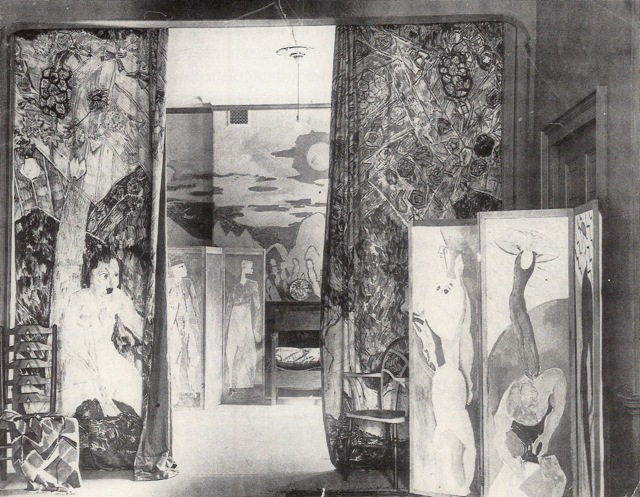 Once again the emphasis on their loose morals rather than their importance within both art and literary circles of the period, defying Edwardian convention in the arts, misses their importance within art and design circles and the influence they had on bohemian artistic life. 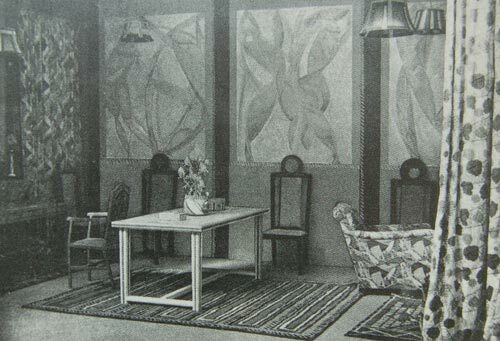 Established in 1913 by Roger Fry, the Omega workshop was one of the first design collectives, well ahead of its time, bringing avant-garde art and design to the domestic Edwardian sphere. Fry opposed the soulless productions made badly and on a vast scale since the Industrial Revolution had arisen. 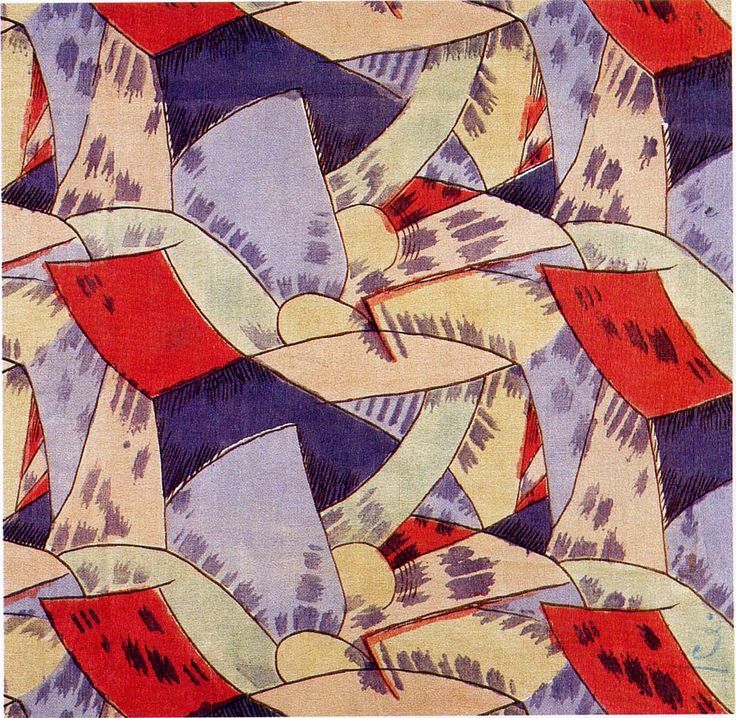 His main aim was to bring the artist and craftsman much closer together so that the spontaneity of the original expression could be retained and so they could earn a living wage from art. The bright colours, spontaneity and loose behaviour so vehemently on display shocked many within the Edwardian establishment and this dramatic spectacle soon became a notorious place to be seen. 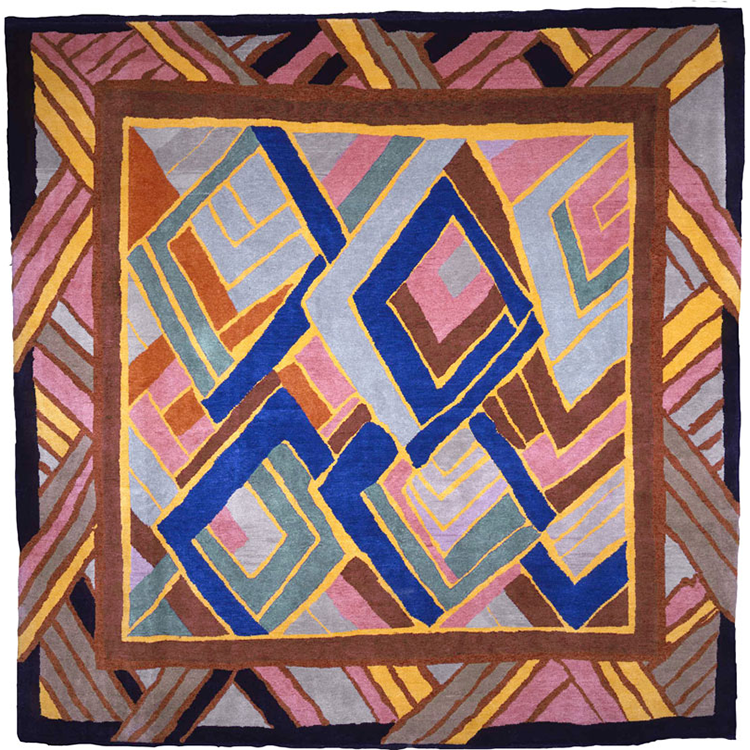 Largely inspired by continental art and ideas, and with the aim of breaking down the distinction between fine and decorative arts, the bold colours, simplified form and abstract designs of Cubist inspired rugs or Post-Impressionist style chairs challenged the conventional notions of the domestic sphere. 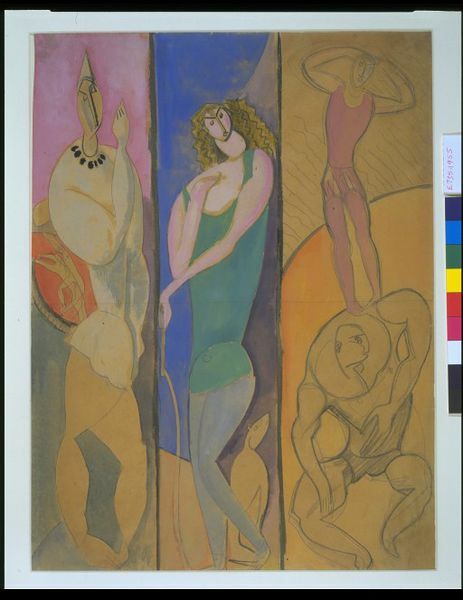 Some of the best and most explicit works produced were those inspired by Diaghilev's Ballet Russes, which had a dramatic impact on Omega specifically in their clothes and paintings on screens and panels, dancers and acrobats becoming a particular influence. Their fluid forms and poses inspired artists such as Duncan Grant to produce work particularly suited to decorative objects and large scale decoration, where form and object came together as a harmonious whole. 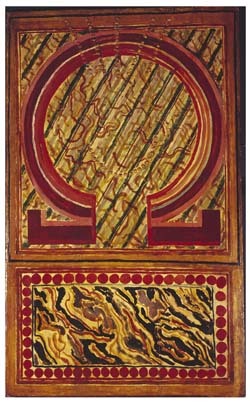 Roger Fry believed that an object should be bought for its aesthetic qualities rather than because of an artist's reputation. Consequently no artist was allowed to sign any piece that was decorated. Each piece was produced anonymously and marked simply with the Greek 'Omega' symbol denoting that it came from the workshop. Production could be haphazard and the quality of the work produced varied, which can make identification of their work today quite difficult, but ultimately this Bohemian centre marked an important point in British design history. Although the workshop managed to stay open during the War, it was unsurprisingly eventually an unsuccessful enterprise, closing in 1919. Its buyers were too centred on a rich and cultivated class of patron and it was difficult if not nigh near impossible for Fry and his fellow directors to hold together such a diverse and hot-headed group of artists. However it was a significant moment in design history as there was no other sphere that allowed artists and designers to rub shoulders with wealthy patrons, and to sell their wares directly to the consumer. 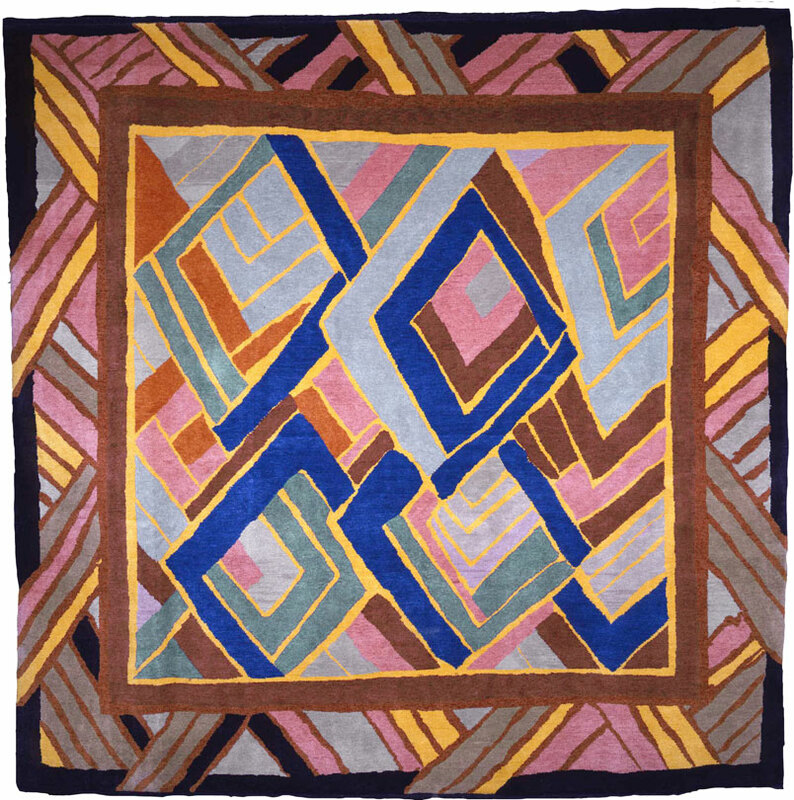 It was also important as an experimental model beyond the 'Bloomsbury Group', which inspired a design aesthetic and had far reaching influence for British artists and designers for a generation to come.